in Sylmar every Thursday from 6:00-9:00 pm. 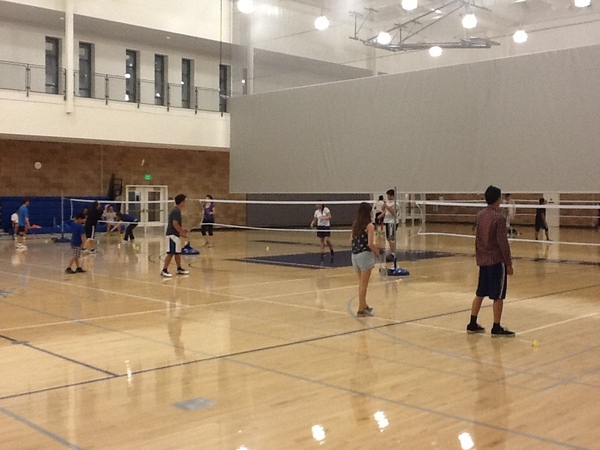 indoor courts plus locker & shower available. 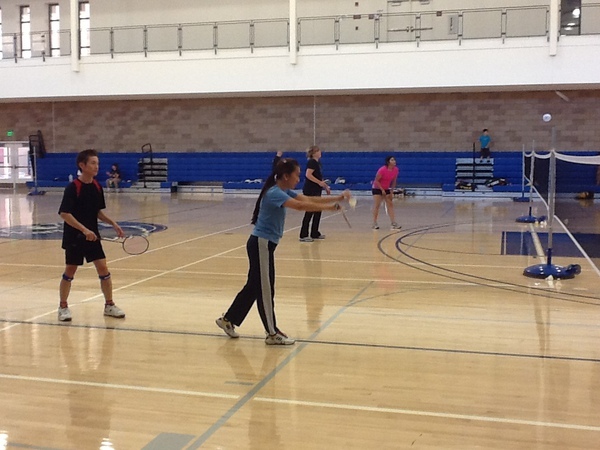 Come see why Badminton is considered a sport for all ages. You don’t have to know how to play just as long as you want to have fun. Bring the whole family. Bring a friend. Or just bring yourself. Hope to see you there! What: This is NOT a private club so anyone and everyone is welcome. You don't have to be a member of the club or a student of the college to play. When: This is on a drop in basis so you don't have to show up exactly at 6:00 pm. Anytime between 6 and 9 pm would be fine but it'd probably be more worthwhile to you if you show up sooner than later. Where: Los Angeles Mission College Health, Fitness and Athletic Complex (HFAC) located on the new East Campus 12890 Harding Street, Sylmar, CA 91342 nearest cross street is Eldridge. Call (818) 364-7891 for direction. How much: If it's your first time then you'll need to purchase a one-time $1 activity card. After that it's $4.00 per person with any kids under 10 yrs of age gets in FREE but must be with an adult. 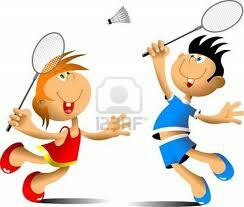 Badminton racket & plastic birdies will be provided if you don't have one. Parking: Plenty of free parking on the cross street, Eldridge Avenue, right in front of the gym. However, DO NOT park in the Faculty/Staff parking lot at the Center for Math & Sciences building next door or you WILL get a ticket.